Pick up a bottle of Sherry wine and you'll find all three references to this fortified wine on its label. Jerez is the Andalucia word, Sherry is the common English reference, and Xérès is the French. It's all the same and these three words are mandated by the Spanish Consejo Regulador de las Denominaciones de Origen regulating body to appear on a Sherry bottle's label as a guarantee of authenticity of origin. Okay, granted, you look at the label and you are now guaranteed that you've got yourself a bona fide bottle of Sherry wine. ¡Hay qué bueno! What else do you need to know? Well, as a future reference, we're just going to call this unparalleled wine, Sherry. This is actually the English bastardized word for the ancient fortified wine from the region of Jerez de la Frontera in the southernmost part of Spain and it's named after the town of Jerez as its central locus. Be advised, the local citizenry of the town do not call it Sherry. But whichever name you pick, Sherry is one of the world's ancient and classic wines that entails an involved process to make. The end-product is diverse in style and varies from the light and bone-dry to thick, sweet, and creamy. It can be a chilled aperitif or a bemusing dessert wine sipped at room temperature after dinner by the drawing room fire on a blustery evening. Sherry wine is old, old as the hills, or if not quite that ancient, at least since the time of the seafaring Phoenicians who reached the far reaches of the Mediterranean Sea at the tip of Spain in a region that became known as Andalusia. 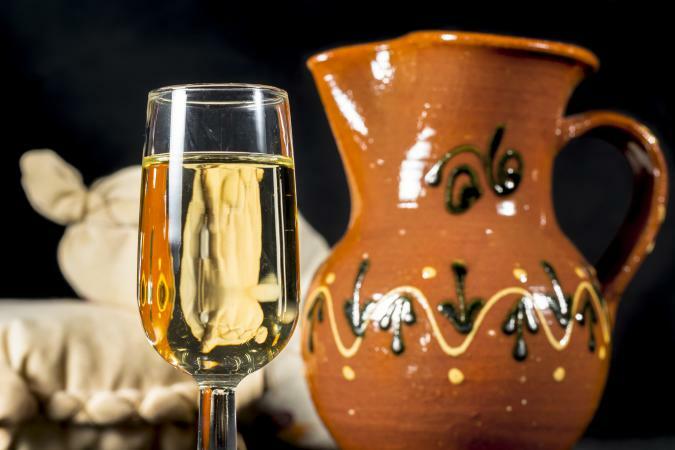 In a region quite near Jerez de la Frontera, evidence has been unearthed showing that wine has been made there since 1100 B.C. Since that beginning, wine, more importantly, Sherry, has been made there. Sherry's history has a lot of twists and turns, but suffice to say that England in the 16th and 17th Centuries, despite -- or because of -- all the wars between the countries, became a primary and influential market for the fortified beverage. British mercantilism brought us Harvey's Bristol Cream and helped put Sherry on the wine libation map that we know today. Cheers, mate. Sherry is not made from the usual Spanish suspects of Rioja-No Garnacha, No Tempranillo. No, Sherry is made strictly from white grapes and by rule: Moscatel, Palomino, and Pedro Ximénez. Of these, Palomino accounts for the bulk used in Sherries. Moscatel is a Muscat variety and is used in sweeter Sherries. Pedro Ximénez or PX, is used as a blending grape or in Sherries known by the the varietal's namesake. These are rarer, complex, and syrupy dessert wines. Perhaps getting politicians to tell the truth is easier than making Sherry wine. The process for making this fortified wine is as complicated as getting the bubbles into France's Champagne and the tawny into Portugal's Port. The process to make Sherry varies and dictates the outcome of the multiple styles and the level of alcohol. However, the basic concept goes something like this, and like English grammar is fraught with exceptions: 1) Harvest grapes; 2) Press to yield the mosto de yema or first must that is used only in Sherry; 3) Ferment in stainless steel tanks and in some cases in oak which generates about 10-12% alcohol; 4) Begin the important Flor phase which is an indigenous Andalusian yeast that creates a film seal over the wine's surface; 5) After fermentation, fortify the wine with wine-distillate that cranks up the alcohol levels to 15-17% depending on the type of Sherry; 6) Age in oak barrels called botas and stack on top of each other in three rows. The minimum aging for Sherry is three years but can age for several years or even decades for certain types. This word describes the traditional aging process for Sherry. Remember that botas are stacked. The bottom barrel is the Solera barrel. The sherry is always drawn out of the bottom Solera barrel for bottling while leaving some of the precious liquid. Then the wine from the upper barrels is used to refill the lower barrel. There is no vintage date on solera since the Sherry can only be an average from several years. 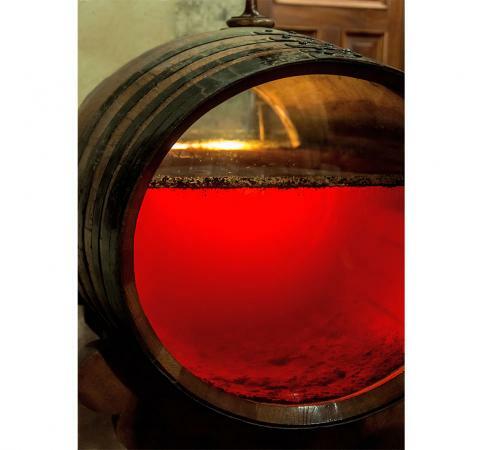 However, theoretically any solera Sherry will have minuscule amounts of the original wine produced in that barrel. Remember that the next time you sip a Sherry: bits of it could be hundreds of years old. Sherries run the gamut from dry to sweet and almost ultra-sweet. Trying to explain all the variations is only slightly easier than your accountant trying to explain the tax code to you. So, we'll try to simplify things and leave out a lot of the details that get in the way. Ready? Here goes. 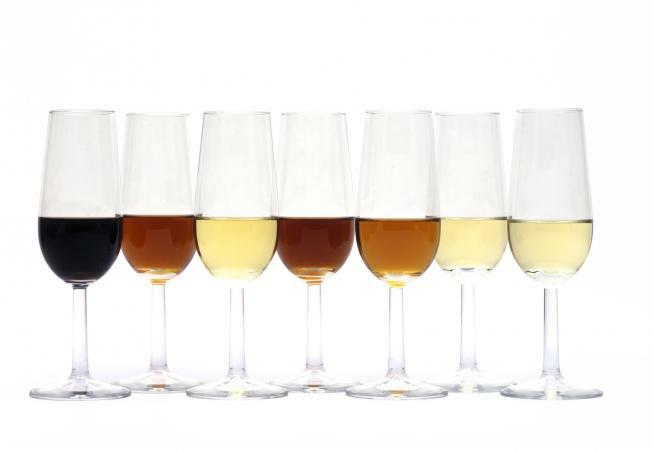 There are two general style categories, Fino and Oloroso, in which the the different types fall under. Finos are light, dry, tangy, and impart a refined complexity at their best. Olorosos are darker colored from gold to deep brown, nutty, rich, and can range from dry, medium-dry to sweet. Olorosos have a higher alcohol content and develop without the benefit of the flor (due to the higher alcohol percentage) and darker colors occur from the ensuing oxidation. Olorosos tend to be aged longer and consequently are more expensive than Fino types. A light and refreshing style of Sherry from the seaside town of Sanlúcar de Barremeda. Manzanillas have a hint of saltiness and go well with shellfish or just by itself as an aperitif. It's lower in alcohol, delicate and should be chilled and finished in a couple of days. Life is perfect with sauteed garlic shrimp and a glass of Manzanilla. A little headier than a Manzanilla but still delicate in nature. Elegant and tangy with a blooming bouquet. An almost perfect seafood wine. This is an aged Fino that has a higher alcohol level and has undergone some oxidation to give it an amber color. Dry and nutty, but some producers make it slightly sweeter by adding some PX. This is actually a deviant Amontillado that verges on an Oloroso type. Pale Cortados are rare and occur as a fluke of nature. When aging Amontillados, the protective flor fails to develop and the result is a hybrid that is dry and nutty with great aromas that combines with the voluptuous body and complexity of an Oloroso. Meaty and dense, Olorosos get their dark amber to brown color from exposure to oxygen during aging. These are more fortified than Fino-types (18-20%) and are rich with nutty and raisiny characters. Oloroso is still considered dry. We're now in sweet territory. Cream sherries were created for the British taste buds. Olorosos are sweetened with PX and these cream sherries can vary from producer to producer and usually are made from lower grade Olorosos. They can be thick and sticky on the tongue to more delicate with complex flavors. PX is at the peak of Sherry sweetness. It's dark, dense, lively, and sips slow and syrupy. It's made from the PX grape and often blended to sweeten other types of Sherries. A dessert wine with raisin-like aromas. Splurge and dribble some on top of vanilla ice cream. Dry Finos Sherries should be drunk slightly chilled while Olorosos, the darker and sweeter ones, should be drunk at room temperature. Amontillados can go either way. Finos, like white wine, should be finished within a couple of days upon opening while Olorosos with their higher alcohol can hold out a bit longer. A tapeo can best be described as a tapas crawl in the vein of a pub crawl. And one of the best beverages to go with these delectable bite-sized Spanish nibbles is Sherry wine, particularly a Fino or Manzanilla. These also go well with almonds, seafood, cheese, and other mild foods. Amontillado and Oloroso goes better with oily fish, Serrano ham (jamón), sausages, meats, and strong cheese. Cream and PX are in the sweet wine category and can go with desserts and pastries. For Spanish food and drink ideas visit La Tienda.